Initially I was not going to post this work, if only because other things came up and I do have to prioritise what I post on my site. It had nothing to do with the work’s quality, which I think is actually quite good. What am I talking about? Well today’s piece is from a Pro Public article about the impact of immigration on economic growth. And it turns out the two are linked. Why? Well, the overly simplistic explanation is that we will need immigrants to pick up the slack in the labour force that will otherwise begin shrinking in years to come. But why take my word for it when you can take charts’ word for it. 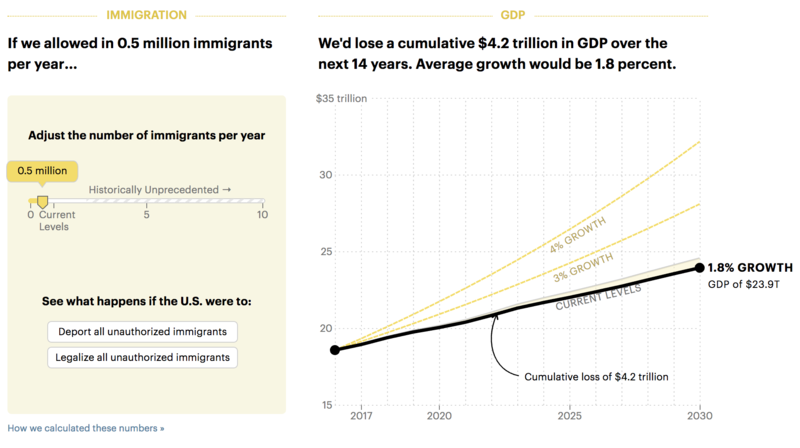 The piece does a great job of showing how changes in immigration numbers can help grow or shrink economic growth. And if you recall, President Trump has promised growth rates of 4%. But, and this is why I decided to post this, yesterday it was announced that Trump will support legislation intending to halve immigration to the United States over the next ten years. As my screenshot captured, a reduction in immigration will actually lead to lower economic growth and put us further away from the 4% rate. Credit for the piece goes to Lena Groeger. Another day, another story about the administration to cover with data-driven graphics. We are approaching Trump’s 100th day in office, traditionally the first point at which we examine the impact of the new president. And well, beyond appointing a Supreme Court justice, it is hard to find a lot of things President Trump has actually done. But on his 99th day, he will also need to approve a Congressional bill to fund the government, or else the government shuts down on his 100th day. Not exactly the look of a successful head of state and government. Why do I bring this up? Well, one of the many things that may or may not make it into the bill is funding for Trump’s wall that Mexico will pay for, but at an undetermined later date, because he wants to get started building the wall early, but late because he promised to start on Day 1. Several weeks ago the Wall Street Journal published a fantastic piece on the current wall bordering Mexico. It examines the current state of fencing and whether parts of the border are fenced or not. It turns out a large portion is not. But, the piece goes on to explain just why large sections are not. You should read the full piece for a better understanding. Because while the president says building the wall will cost $10 billion or less, real estimates place the costs at double that. Plus there would be lawsuits because, spoiler: significant sections of the border wall would cross private property, national parks, and Native American reservations. Also the southern border crosses varied terrain from rives to deserts to mountains some lengths of which are really difficult to build walls upon. 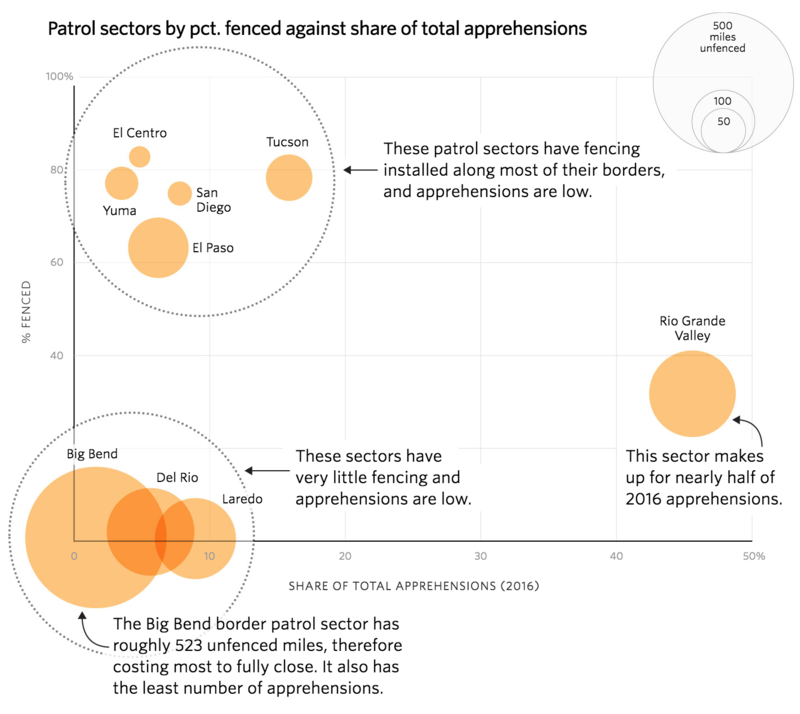 But the part that I really like about the piece is this scatter plot that examines the portion of the border fenced vs. the number of apprehensions. It does a brilliant job of highlighting the section of the border that would benefit most significantly from fencing, i.e. a sector with minimal fencing and a high number of apprehensions: the Rio Grande Valley. And to make that point clear, the designers did a great job of annotating the plot to help the reader understand the plot’s meaning. As some of my readers will recall, I am not a huge fan of bubble plots. But here there is some value. The biggest bubbles are all in the lower portion of fenced sectors. Consequently, one can see that those rather well-fenced sectors would see diminished returns by completing the wall. 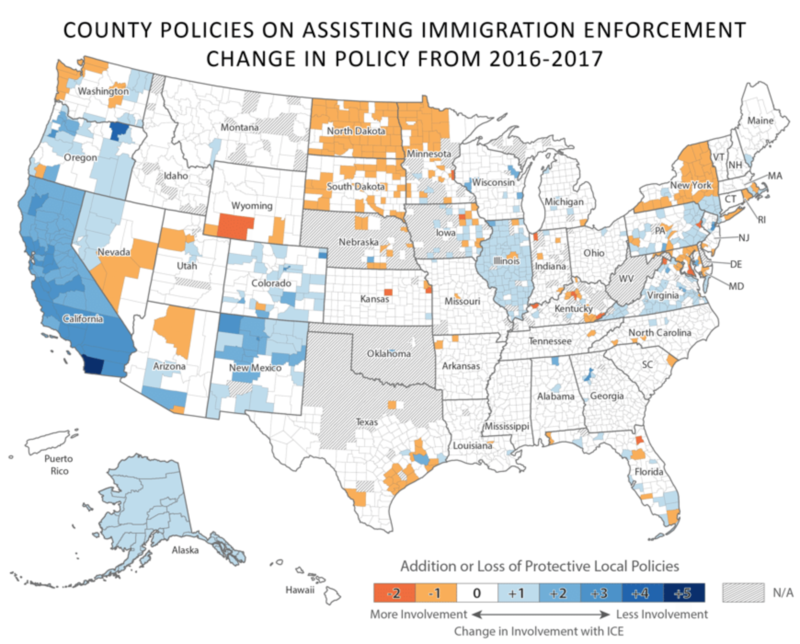 A more economical approach would be to target a sector that has low mileage of fencing, but also a high number of apprehensions—a big circle in the lower right of the chart. And that Rio Grande Valley sector sits right there. Overall, a fantastic piece by the Wall Street Journal. Credit for the piece goes to Stephanie Stamm, Renée Rigdon, and Dudley Althaus. 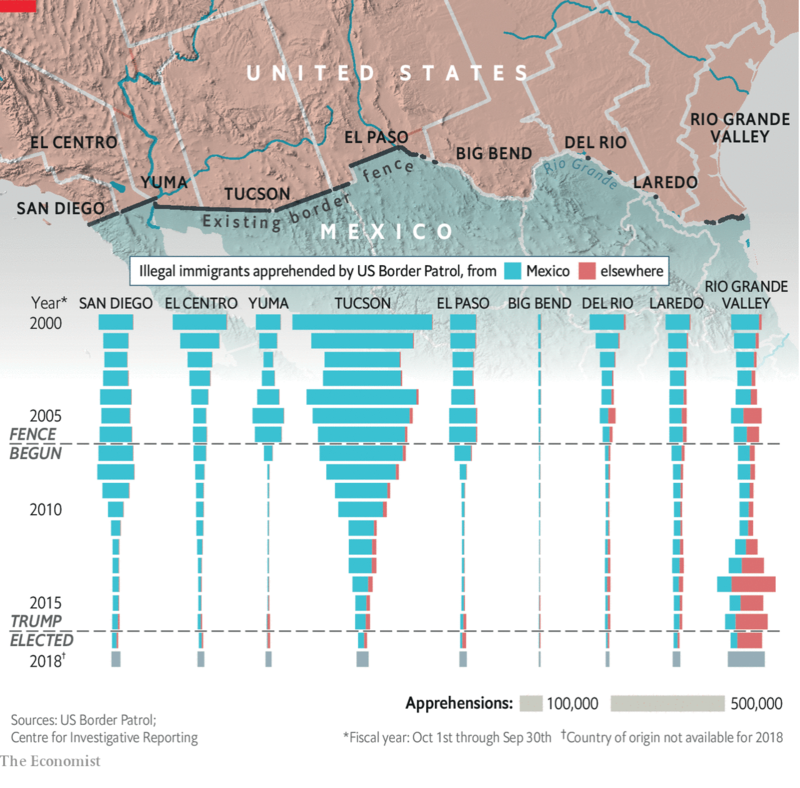 So following on from my Wednesday post, let’s take another look at the “problem” of Mexican immigration. 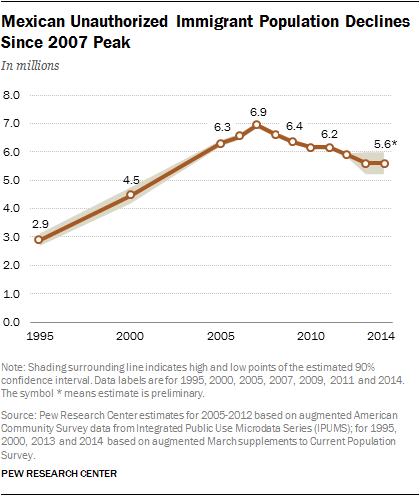 Because as these graphics from the Pew Research Center show, it’s not really a problem these days. 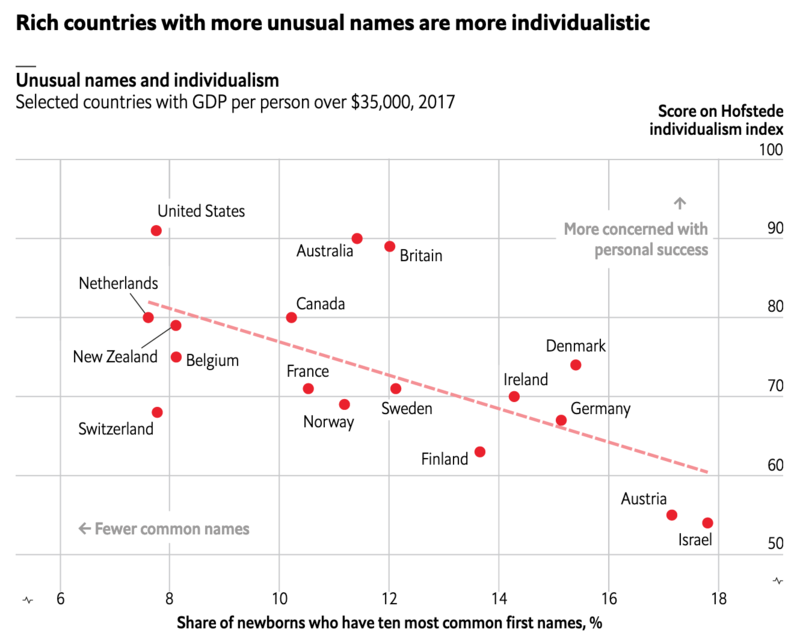 Credit for the piece goes to the Pew Research Center graphics department. 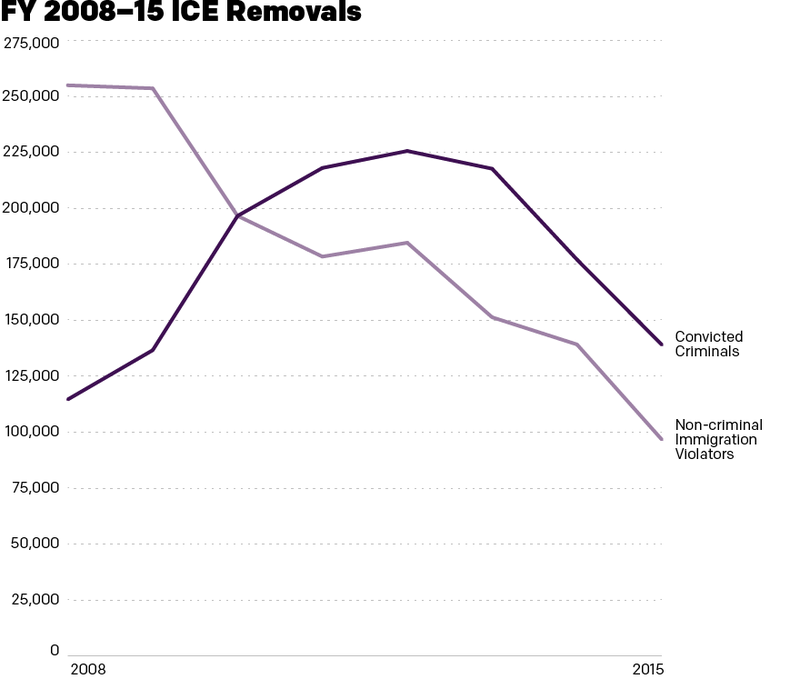 Illegal immigration is one of the big topics in the American presidential election. Some of us want to build a wall to keep out illegal Mexican immigrants. Today’s graphic is a number. Illegal immigrants are not limited to Latin America, but they come even from places like Ireland looking for a better life. 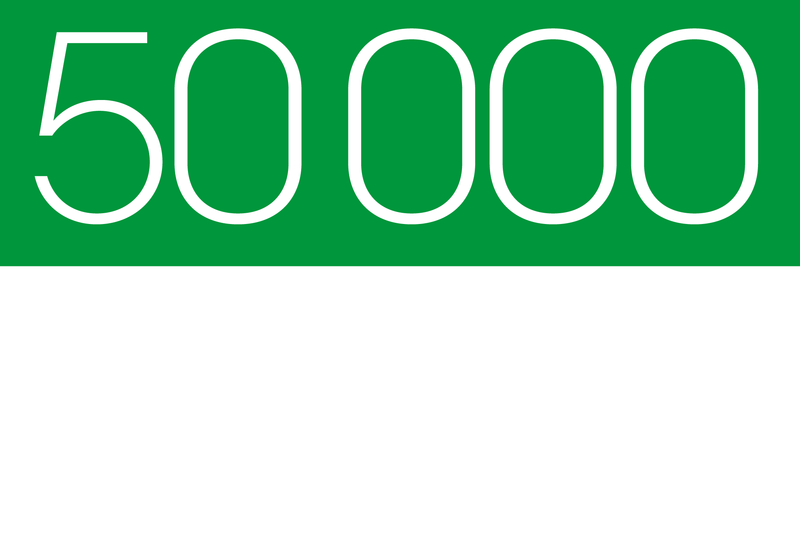 The number is the estimated number of undocumented Irish living and working in the United States. Yesterday we looked at a map of coal plants, with the dots sized by capacity. Today, we have a similar approach in a much smaller graphic about a much different topic. The BBC published this map yesterday in the context of an article about a report of the EU contacting Australia in regards to its migrant interception programme. Compared to the maps we saw yesterday, I’m not so keen on this. Not the idea, mind you. I think that the story bears telling in a graphical, visual format. 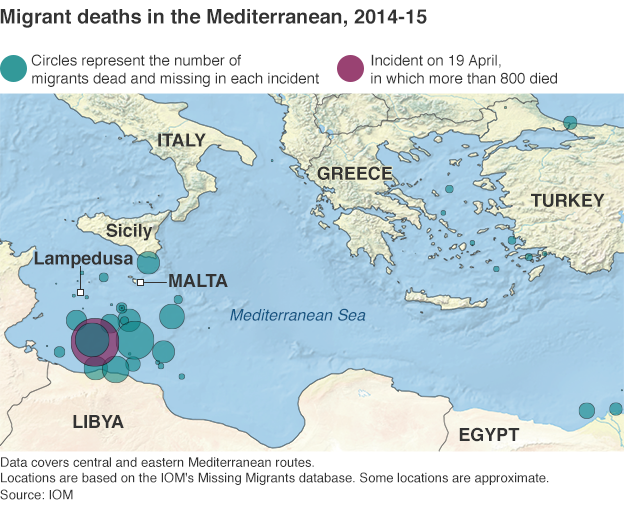 Look at how many of those deaths occur in the waters between Libya and Italy. Not between Tunisia and Italy. Not between countries of the eastern Mediterranean and islands like Cyprus or Crete. But, the blue-green colour used to identify previous incidents is too close to the blue of the Mediterranean for my taste. Though, in fairness, that does make the purplish colour highlighting the most recent incident stand out a bit more. But even the map of the Mediterranean includes details that are not likely necessary. Do we need to show the topography of the surrounding countries? Do we need to see the topography of the sea floor? Probably not, although in a different piece the argument could be made geography determines the migration routes. Compare that to Bloomberg’s piece, where the United States was presented in flat, grey colours that allowed the capacity story to come to the forefront. Lastly, a pet peeve of mine with maps and charts like this. Please, please, please provide a scale. I understand that humans are poor at comparing differences in area. And that is a reason why bars and dots are so often a clearer form of communication. But, in this piece, I have no idea whatsoever about the magnitude and scale of these incidents. Again, compared this to the Bloomberg piece, where in the bottom corner we do have two circles presented to offer scale of capacity.